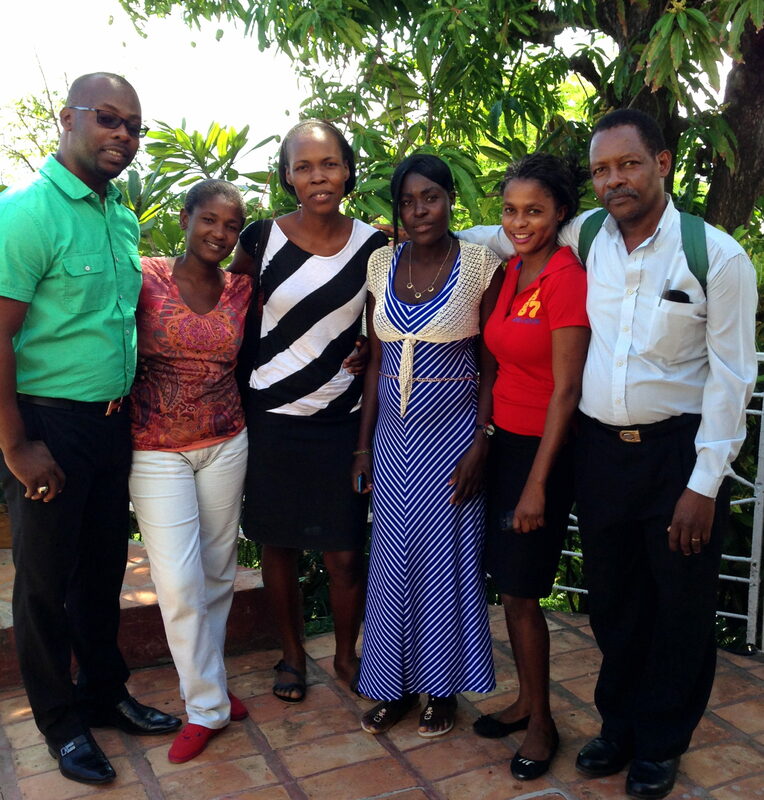 Four young Haitian women needed to do something to feed their families, and the Help for Haiti team had an idea to help. So, we worked with the women to create a shoe and clothing business, and they named it Se Pa Pe’Pe’. In Creole, Se Pa Pe’Pe’ means “It is Not Used- It’s New.” Se Pa Pe’Pe’ is Help for Haiti’s newest initiative to employ Haitians by helping them to build and own sustainable businesses. Jim and the Help for Haiti team worked to create Se Pa Pe’Pe’ in 2013. We have been training the four owners- Emmanuella, Jocelene, Chantale and Leonie- on all aspects of starting and building a business. These four women are all devoted Christians with great character and work ethic. They are enthusiastic learners, and through our instruction have developed skills in business math, pricing, inventory and the process of costing their goods. Their business results are carefully tracked and recorded, and in less than two years they have consistently earned enough money to support themselves, and have also saved over $1,300 in their business account. These funds will be used to expand their company! The Se Pa Pe’Pe’ ladies come from a variety of backgrounds. One is widowed and taking care of a small child and aging parent. One is divorced with two kids. And two are married, but have husbands who struggle to find consistent work. Each has a different story, but all were struggling to feed and care for their families before they formed Se Pa Pe’Pe. Now they make enough to invest in the company’s future while providing for their loved ones. We see the Se Pa Pe’Pe’ ladies as nothing less than a sisterhood. These are four women working hard to improve their lives and the lives of their families’, while also paving the way to change the lives of future generations of the children in our two schools. It is our hope that Se Pa Pe’Pe’ will be the model for future business development. We cannot emphasize enough how none of this would be possible without your help. It was at the 2013 Help for Haiti Mobile Food Pack in Portsmouth, New Hampshire that we collected and shipped 500 pairs of “slightly” used shoes to the ladies, which they used to start their business. It was the contribution of another generous donor, Liz Rogers, who provided 130 new dresses for the women to jumpstart their clothing sales. And it is your ongoing financial support that allows us to continue coaching and training the Se Pa Pe’Pe’ women while we Feed and Educate the next generation of business owners in north Haiti. Thank you for all that you do, and for all that you will do in the coming year.